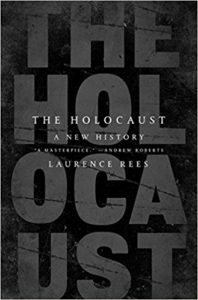 Historian Laurence Rees has spent a lifetime studying the Holocaust, and it shows in this book. This is a very readable (and horrifying) retelling that begins in post-WWI Germany and details all the steps in the somewhat haphazard but ultimately effective process that led to the most horrifying mass murder in history. 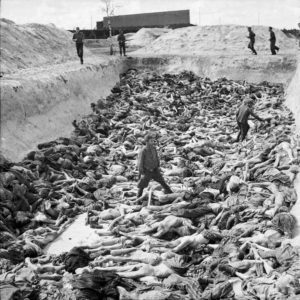 The holocaust was not the largest genocide in history in terms of death toll (estimates and definitions vary, so it hard to say with certainty) but Rees makes the case (and I think it is a very reasonable case) that many aspects of this particular genocide are uniquely evil and terrifying and these aspects justify its unique position in the history of human mass murder (and this includes comparison with such immense and horrendous crimes as the Arab and European trade in African slaves). Anyhow, readers can (and surely, will) make up their own mind about the relative horror of this particular crime, but if they read this book, they will at least learn the full extent of it. Rees starts with the currents of antisemitism that circulated in 1920 Germany (many of these were pan-European, some were even of Anglo-American origin) and the process by which Hitler rose to power. The book makes it clear that while anti-semitism was commonplace in Christendom, most Germans were not thinking of systematic genocide; but some violent, sociopathic and evil people were dreaming of it, and they gradually coalesced around Hitler and got the chance to put their demonic ideas into practice, using all the terrifying resources of a powerful modern state. He also makes clear that there was no single point at which the process was set in motion. 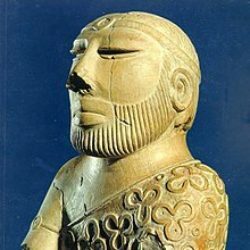 There was never one clear directive or one single individual charged with a clear mission to exterminate all Jews, or other “undesirables” (while Jew-hatred formed the central pillar of Nazi thought, Hitler and his minions had many other targets, including mentally and physically disabled Aryan Germans). A general urge to “purify” the Reich of Jews was built into Nazi policy, but it was put into practice gradually and with uneven application, with much variation in intensity, priority and methods. 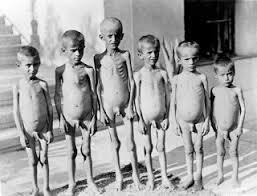 Many concentration camps where conditions were extremely harsh and brutal were already in place in the early years of Nazi rule, but systematic extermination started after the war was underway. The first use of gas to kill people was by physicians, who used carbon monoxide to kill disabled patients in a room where it was piped in via specially constructed pipes (the patients were stripped before being sent to the room “for showers”). This method was developed because killing them individually by lethal injection or other means was too slow, and was traumatizing for the Nazi physicians doing the killing; distance from the actual act of killing was needed. Some of the details are chlling. For example, disabled children, already herded into special facilities, were taken from the dining room of a children’s hospital “for consultation” (some crying and resisting) and never returned. A fact noticed by some of the other children there and remembered years later with horror. And so it goes. The various instances throughout the thirties where other Western countries resisted Jewish immigration and turned away Jewish refugees are all detailed, as is the everyday antisemitism of leaders from Canada to Poland. 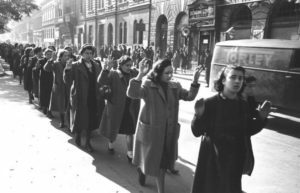 When Hitler mooted the possibility of Germany and its eastern neighbors all coordinating a plan to send all their Jews elsewhere (“the colonies” in this case), the Polish ambassador even told Hitler that “if he finds such a way we will erect to him a beautiful monument in Warsaw”. British reluctance to accept refugees or to allow refugees to go to Palestine is also detailed; Neville Chamberlain put it this way “it is of immense importance that Britain should have the Muslim world with us”, consequently “if we must offend one side, let us offend the Jews rather than the Arabs” (this was part of a multi-year resistance to Jewish immigration to Palestine for which the British get no credit from the Arabs today). In the end, the Nazis could claim with some justification that “no one wants to have them”, though it must be kept in mind that no one then had any clear idea of exactly how far the Nazis were about to go. The cooperation of various conquered nations (and the silence, if not the active connivance, of the Pope) in rounding up their Jews is discussed and as expected, the details vary. For example, the occupied and semi-occupied civil services in Holland and France deported more Jews than the German’s axis ally, Italy. In fact, in some ways the civil services in Holland and France did a more thorough job than their compatriots in more old-fashioned antisemitic countries such as Romania, Hungary and Bulgaria; though in some cases this may be due less to humane instincts and more to early awareness in Eastern Europe that Germany may lose the war. 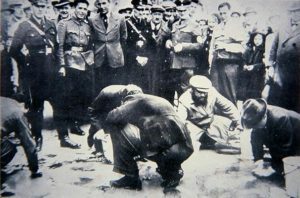 Some countries went further than others, with Slovaks rounded up Jews with particular alacrity and Croatians even doing their own enthusiastic Jew-killing; incidentally, the Croats shocked even the SS by their shockingly brutal treatment of helpless Serbian civilians. The role of the Germans themselves is discussed in great detail, making it clear that all of them certainly did not know what was going on, and almost none of them had the whole picture, but far too many knew a lot and actively participated. In the course of the book, Lees also offers the original suggestion (original to me at least) that Himmler and company began to let other senior German officials know more about the ongoing holocaust in 1943 as a way of stiffening their spines as the war turned against Germany. 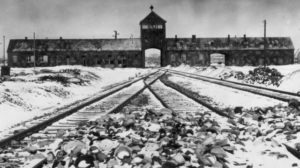 By letting them know what horrendous crimes they were part of, Himmler was also letting them know that “we are all in this together”, that after such crimes, defeat is not an a pleasant option. Still, this did not stop Himmler himself, in 1945, from trying to make excuses for the holocaust (in brief, “the war made us do it” or “the allies, by not taking the Jews off our hands”) and to even try to make peace by handing over the few remaining Jews in his control. But luckily for the image of the human race, there are also a few counter-examples. The Danes saved almost all their Jews; part of the “credit” may go to the Nazi in charge, who let them get away without trying too hard to stop them (Lees speculates that he may have seen that the war is going badly and taken his own precautions against the future, or may just have felt that his job was making Denmark “Jew-Free”; so what if they disappeared from Denmark only to reappear in Sweden?). Even in countries where most Jews were killed, there were thousands of individual acts of heroism and humanity. The Poles, for example, have had some bad press after the war for the various antisemitic acts and utterances of Polish leaders and common citizens, but Lees points out that in the midst of horrendous suffering, reprisals and punishments, about 90,0000 Poles risked their own lives to hide 28,000 Jews in Warsaw over the course of the war (11,500 of them survived). Even in Berlin itself, 1700 Jews managed to survive by hiding with Good Germans, who took almost unimaginable risks (and some very material sacrifices, given the severe food shortages at the end) to hide them through 6 years of war. Last but not the least, in the Greek island of Zakynthos, when asked to produce a list of their Jews, the local mayor and bishop handed over a paper with only two names on it: their own. All 275 Jews on the island were hidden in non-Jewish homes and survived. And on this faint, but heroic positive note, I think I should end this review. Saving Jews in Denmark and Poland during WWII wasn’t exactly the same thing in terms of the level of difficulty. There were very few Jews in Denmark, and there was no death penalty for saving them. 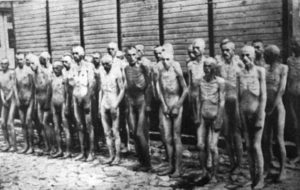 There were millions of Jews in Poland, and there was a death penalty for aiding them in any way. I did allude to the fact that the Danish case was somewhat unique..
Hungary deserves perhaps mixed credit. Horthy and Kallay were, yes, anti Semitic: they mistreated their own Jews, and they turned away / turned back non-Hungarian Jews. And some of the people under their command went further. But the two did better than most (read: the French) at protecting their Jews from death, at least. Until 1944 when the Landswehr just went and occupied all the Axis-allied countries. For another perspective on these dark days, see this almost-autobiography: “Hitler in Hell” by Martin van Creveld (professor emeritus of History at the Hebrew University of Jerusalem). He brings more than a historian’s view, with his parents both Holocaust survivors. 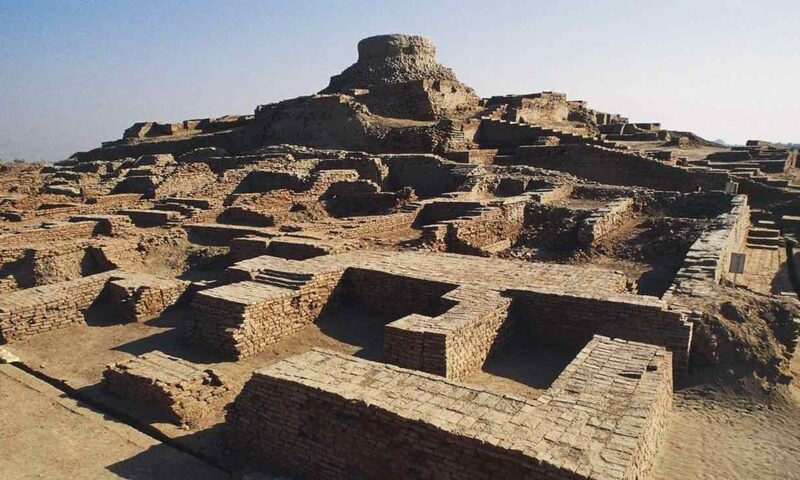 We cannot understand events unless we see them through the eyes of those who did them. With astonishingly deep research, van Creveld shows us how Hitler may have seen the world — and considered his acts both rational and necessary. This is a timely book, with fascism again on the rise around the world — along with other dark forces. Next PostNext How the Other Half Dies..